Ms. Halpin-Healy provides vision and leadership and is responsible for the management of Arts & Minds. 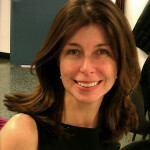 She has over 25 years experience in museum education at The Metropolitan Museum of Art. Since 2008 she has produced museum programs and workshops for people with dementia and their caregivers. She consults regularly with museums and creative aging professionals and gives frequent talks and training workshops locally, nationally and internationally. 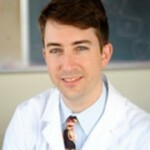 Dr. Noble’s clinical practice serves patients in Harlem and Washington Heights who suffer from dementia and other neurologic disorders. His scientific interests include research on the impact of non-pharmacological therapies on the lives of dementia patients and their caregivers. 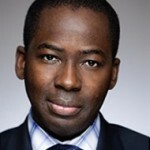 Olajide Williams, MD, MS, Assistant Professor of Clinical Neurology, Associate Director of the Department of Neurology, Harlem Hospital Center, Columbia University College of Physicians and Surgeons. In addition to being an expert in stroke research and clinical care of stroke patients, Dr. Williams is the driving force behind The Hip-Hop Public Health Education Center at Harlem Hospital. 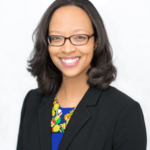 Ms. Lawson works with Education department staff to facilitate partnerships with New York City schools annually, implement visual art-based programs for families, and offer innovative teen programs. Shanta provides training to museum educators and organizes professional development opportunities for classroom teachers and parents. Through creative outreach efforts to community-based organizations, she has initiated programming for special audiences at the Studio Museum, and currently develops interpretative materials building bridges between the Museum and various communities. Shanta received her M.P.S, Arts and Cultural Management from Pratt Institute. Karen Bedrosian-Richardson, is the director of a boutique insurance agency specializing in ex-patriot health insurance. Prior to that, she was the Director of Finance for PanAmSat, a telecommunications satellite operator based in Greenwich, Ct. and was earlier the Chief Financial Officer of Spanish International Communications Corporation, a Spanish language television network (now known as Univision). She is the President of The MagneVerde Foundation, a private operating foundation based in Greenwich, Ct. and serves on the Boards of The Society of the Silurians (the nations oldest press club) and The Armenian Center at Columbia University. 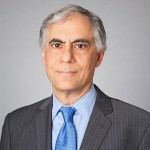 Richard P. Kaye, Esq., Ellenoff Grossman & Schole LLP, NYC. Mr. Kaye provides general legal counsel to Arts & Minds, Inc. He is active in the representation of not-for-profits organizations and also serves on the Board of Directors of the Ronald McDonald House of the Greater Hudson Valley, at the Maria Fareri Children’s Hospital in Valhalla, New York. Mr. Kaye is a partner in the Manhattan based law firm of Ellenoff Grossman & Schole, LLP where he leads the litigation group. 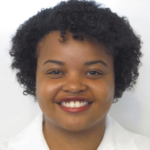 Monique Hedmann, MPH, Medical Student at Oregon Health & Science University, former Program Manager at Columbia University Medical Center. Ms. Hedmann is a founding board member of Arts & Minds. She has served as program coordinator reaching out to many community organizations, senior care organizations, government entities and neurology care clinics to inform the community about Arts & Minds and to recruit participants. She serves on the Board of Hip Hop Public Health and her work is dedicated to improving health and quality of life for all people. 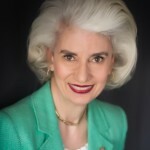 Berna G. Huebner, is President, Chair and Founder of the Hilgos Foundation (www.hilgos.org) in Chicago, Illinois, which supports and encourages the ongoing process of artistic creation with people who have different forms of dementia including Alzheimer’s. She is the Co-Director and Associate Producer of I Remember Better When I Paint, a documentary that shows how the creative arts can help Alzheimer’s patients re-engage in life. 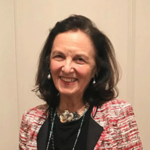 Ms. Huebner also serves on the Boston University School of Medicine Alzheimer’s Board and is Director of the Center for the Study of International Communications in Paris, France. She is the former Research Director for Nelson Rockefeller when he was Governor of New York and then Vice President. 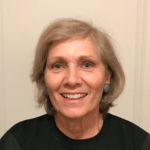 Joyce P. Visceglia is a social worker concerned with the physical, social and emotional health, safety and well-being of all people, from the very young to the very old, especially for people living in poverty. She received her BS in Education and her MSW degrees from Fordham University and is licensed in Clinical Social Work. She holds a Post-Graduate Diploma from New York University. As the Consulting Social Worker at Arts & Minds, Ms. Visceglia provides clinical advice to the executive director and board of directors as well as to museum educators, teaching artists and volunteers. Bringing outstanding expertise in the fields of public health, museum accessibility and education and elder care are Barry Greene, Executive Director of Sponsored Programs, New York Blood Center; Rebecca McGinnis, Museum Educator in charge of Access and Community Programs, The Metropolitan Museum of Art.